Powered by a Euro 4 compliant 1649.00cc six cylinder inline engine, producing 158bhp at 7,750rpm and maximum torque at 5,250rpm. 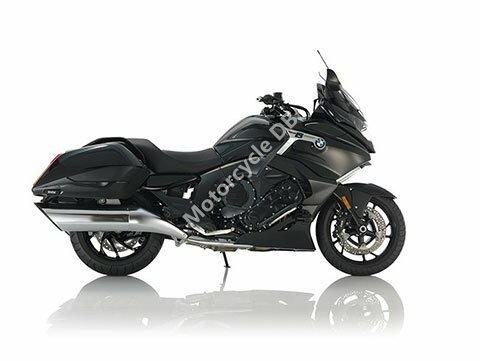 Essentially the same bike as the BMW K1600GT but with fixed deep-set side cases fitted with integrated rear lights, shiny Chromed exhausts and lower pillion seat (7cm lower vs the GT). The electrically adjustable suspension has several modes: "Road" which automatically adjusts itself and "Cruise" which offers gentle damping for comfort at low speeds. Optional Extras include a quickshifter, rider/pillion comfort footrests, reverse gear, intelligent emergency call, audio connection, navigation system, crash bars, centre stand, lower seat, LED fog lights, cornering headlight and forged handlebars. There is also an optional reverse assist which gives you a reverse gear for easy manoeuvring, operated from the left bar.